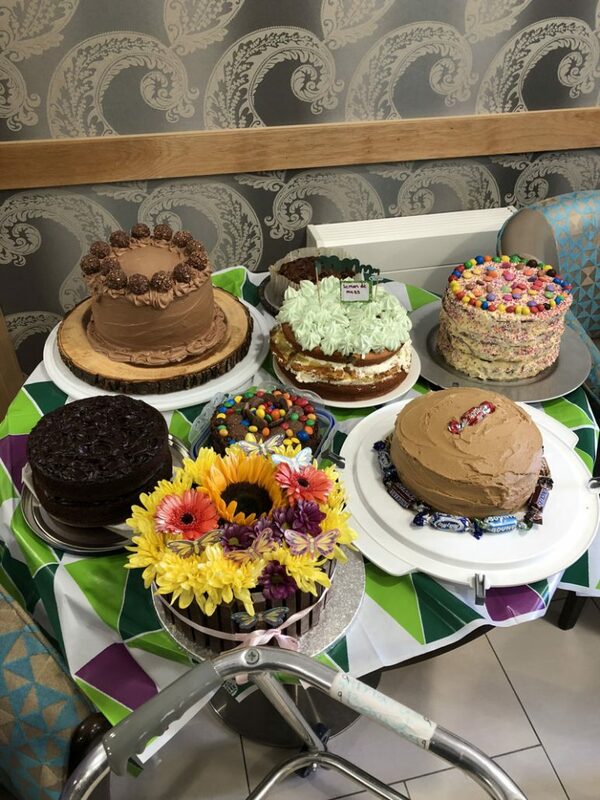 Residents at Sandiacre Court care home raised more than £220 on Friday (28 September 2018) as part of the ‘World’s Biggest Coffee Morning’ to support people living with cancer. 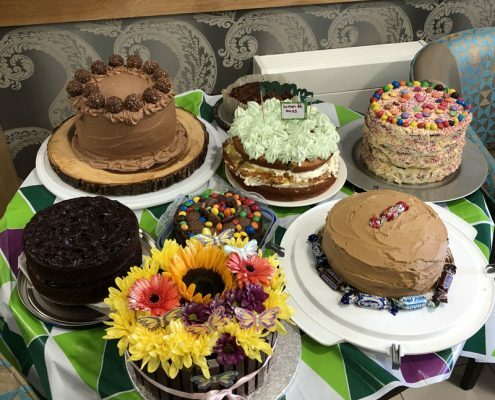 Bringing millions of people together for coffee and cake each September, Macmillan Cancer Support’s World’s Biggest Coffee Morning has become a British institution over the years – with thousands of events happening up and down the country including in Sandiacre. 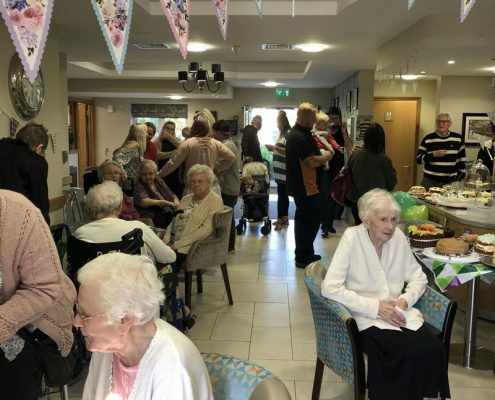 The Deputy Mayor of Erewash, Councillor Sue Beardsley, was the special guest at a morning of coffee and cakes organised by staff at the home and was called upon to judge the cakes and treats in true ‘Bake Off’ fashion. Local performer Johnny Jalland enlivened proceedings with piano and acoustic guitar while freshly baked cakes and other sweet treats were served. A lemon cake baked by star baker and member of staff Chris Hickie took top prize in the cake judging, as presided over by the Deputy Mayor. 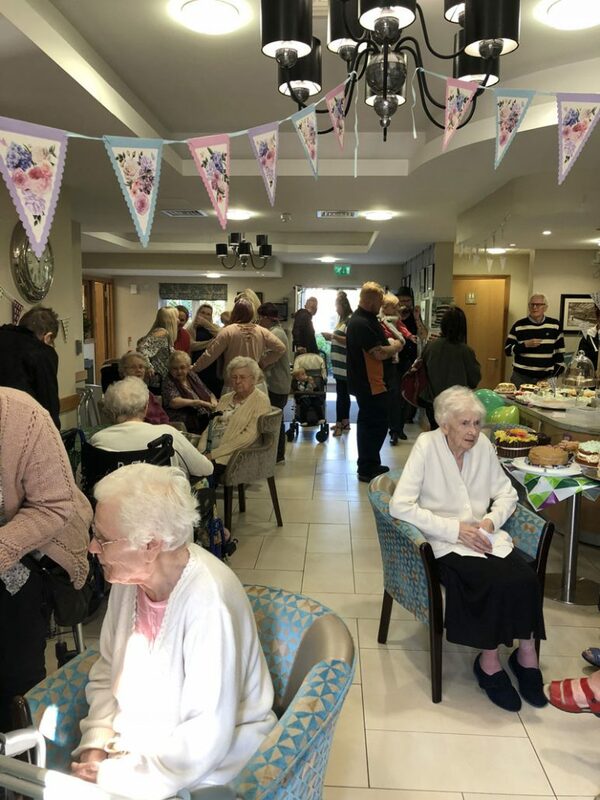 Sandiacre Court is a purpose-built 81 bed care home situated at Sandiacre, and one of four homes run by Hudson Healthcare. Sandiacre Court is a purpose-built care home, situated at Sandiacre, on the border between Nottinghamshire and Derbyshire. It has 81 beds over three floors comprising nursing, residential, respite and dementia care.